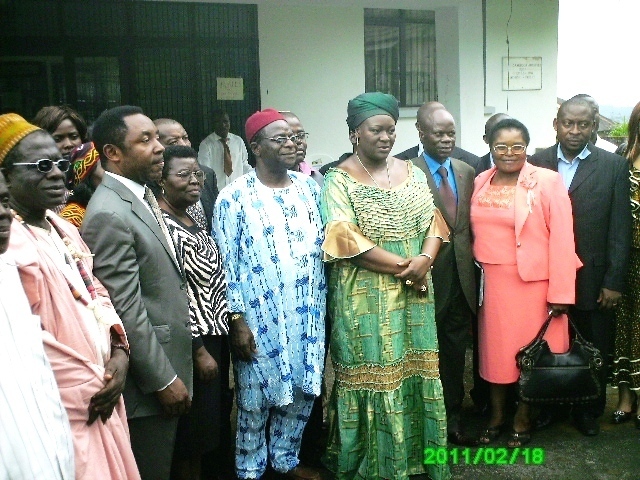 Documentation at the National Archives in Buea, Southwest Region is on the verge of being digitalised. This was the kernel of a training seminar on digitalisation of archives in Cameroon, which is holding in Buea, under the auspices of the Ministry of Culture. Southwest Governor, Koumpa Issa, while opening the seminar, said the archives embodies the collective memory of the nation. “A country without up-to-date archives is like a 21st century man with old Stone Age behaviour. The archives have become a pivotal aspect of government because it embodies aspects of governance and human rights,” said the Governor. He underscored the fundamental role that the Buea Archives played in the Cameroon-Nigeria Bakassi dispute, which finally saw Cameroon gaining its legitimate claim over the oil-rich peninsula. Talking on the importance of the digitalisation process, the Director of National Archives at the Ministry of Culture, Dr. Michael Ngwang, said the project is geared towards the digitalisation of all endangered archives in Cameroon, especially the Buea National Archives Annex. “This project is going to be extended to the whole of Cameroon, given that it is a pilot project. The importance of this digitalisation process is that we will have surrogate double copies of what we already have, which is one method of archiving for information preservation. This actually means that we will go further to make the surrogate copies available to users. The original copies will be kept because we want to prolong the lives of these records as long as possible,” Dr. Ngwang said. Secondly, he said, another advantage for this digitalisation is for resource sharing, because, it cuts down the cost of transportation. “Through the digital medium, you can do your research from wherever you are. Some people think that when we put the information on the Internet, we will be publishing everything including confidential documents. No, the information will be opened only to subscribers. “This is coming at a time when we badly need it because so many people need certain information but they don’t know that they can be found in the Buea Archives and elsewhere. Consequently, people make requests to our colonial masters like Britain and Germany, for certain information, not knowing that we have the information in Buea. I do believe that the digitalisation of our archives is going to solve this problem,” said Ngwang. He will add that, “Initially, when we came to the archives, we had only three benevolent workers. The Minister of Culture recently sent two inspectors of documentation to the archives. We are working to make sure that we have two more. And the Government, in the famous 25,000 jobs, has recruited 70 archivists so the Buea Archives is going to have many more staff.” Ngwang said those who are currently being trained are going to stay in Buea till mid-December, when most of the documents must have been digitalised. Meanwhile, Dr. Pierpaolo Di Carlo of Buffalo State University, New York, USA, and Emiliano Dege Innocenti from Florence University, Italy, the resource persons training Cameroonians on the digitalisation process, said, they were moved by the fact that once they were in Cameroon to carry out research, they got to the archives and saw the state in which it was – some of the documents they needed were too deteriorated – so they started discussing ways and means of improving on the archives with the archivist, Primus Forgwe. “We applied for funding from the Endangered Archives Programmes and we have received some grants with which we are organising this training course and which we shall also initiate the digitalisation of the Buea Archives,” said Pierpaolo. “There is going to be a broadband interconnectivity amongst the archives such that information can be easily assessable from anywhere in the world,” Emiliano said.